A vigil held in solidarity with Christchurch victims was removed from the front of the Quadrangle by campus security officers. The event was hosted by the Sydney Uni Autonomous Collective Against Racism (ACAR) and Unite Against The Far Right. It was hoped that the vigil would span for the course of the week, so that people could ongoingly lay flowers and candles. At the time of removal, the vigil included three placards reading “We stand against fascism Islamophobia,” “Solidarity with the Christchurch victims” and “No more white terror,” surrounded by a series of candles. Honi understands that the last time the vigil was seen was 10:30 pm on Monday night, and it had been removed by the following morning. 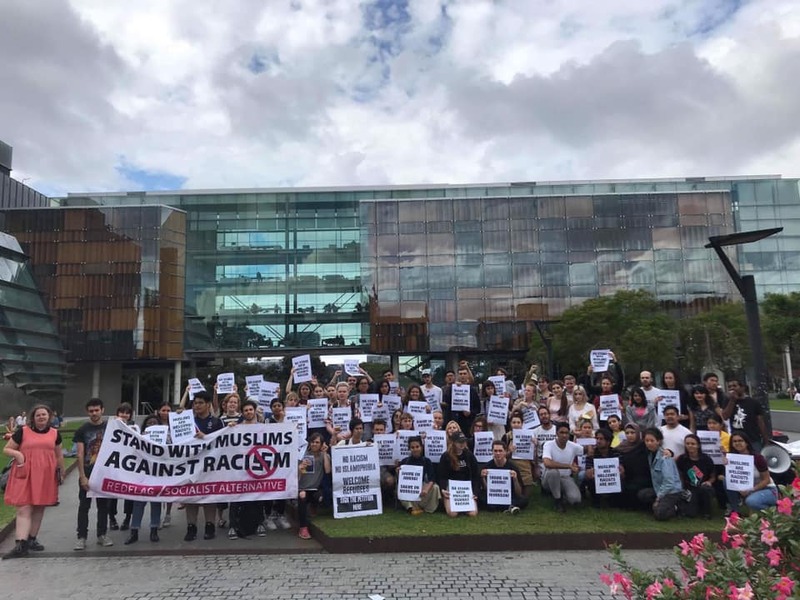 ACAR and Unite Against The Far Right also hosted a campus speakout on Tuesday in solidarity with all Muslims affected by Islamophobia, and in opposition to fascism everywhere. At least 80 people attended the speakout on Eastern Avenue. It was one of many events hosted over the course of the past week in resistance to Islamophobia and in solidarity with its victims.